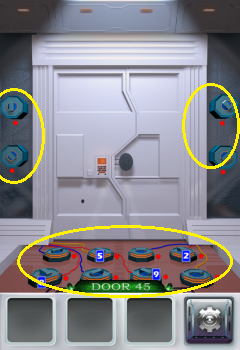 Take out the batteries and place them in the correct spots by number. The lights will turn green if the correct numbered battery is inside. 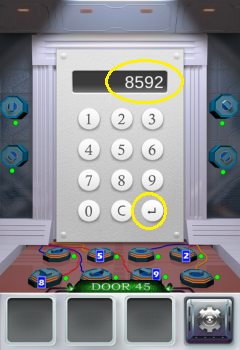 Tap the keypad and enter 8592.